The lifetime exemption for federal gift taxes is a dollar amount you can give away without paying the tax—and yes, it's the giver, not the recipient, who must pay it. The Internal Revenue Code also provides for an annual exclusion, and some gifts are exempt from taxation, so they don't count against either the exemption or the exclusion. The exemption has increased significantly over the years, while the gift tax rate has decreased. As of 2018, the top tax rate is 40 percent, down 15 percent from 2000. The gift tax was based on the Tax Relief, Unemployment Insurance Reauthorization and Job Creation Act (TRUIRJCA) from 2010 through 2012. The TRUIRJCA was signed into law by President Barack Obama on December 17, 2010. It was only supposed to be in effect for two years, but President Barack Obama then signed the American Taxpayer Relief Act, known as ATRA, into law on Jan. 2, 2013. ATRA made certain TRUIRJCA provisions permanent. These provisions affected both the federal estate tax and the gift tax. Then came the Tax Cuts and Jobs Act (TCJA), signed by President Donald Trump on Dec. 22, 2017. The TCJA went into effect in January 2018 and it made a significant change to the estate and gift tax exemption, virtually doubling it. The federal estate and gift tax exemption is indexed for inflation. The two taxes share the same exemption, and it's adjusted periodically to keep pace with the economy. The annual exclusion is $15,000 as of 2018, and it's expected to remain at $15,000 in 2019. You can give this much money or property to any one individual per year without incurring a gift tax. If you want to give gifts to two people, they can total $30,000. You can give $45,000 to three people...and so on. If you give your child $20,000 in one calendar year for a down payment on a house, you have a choice to make. You can either pay the gift tax on the additional $5,000 over the annual exclusion in the current year, or you can apply your lifetime exemption to the $5,000. That's worth $11.18 million in 2018 and it's slated to increase to $11.4 million in 2019. That covers a lot of giving, but there's a catch. The federal gift tax and estate tax are tied together by the Unified Tax Credit. 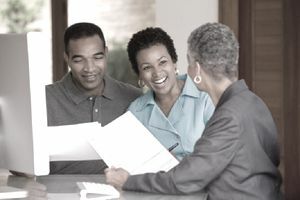 You can use the credit to shelter your estate from taxation when you die, or you can use it to defray the tax burden of giving more than the annual gift tax exclusion to any individual in a given year. Here's how it works. If you decide not to pay the gift tax on that extra $5,000 you gave away over the annual exclusion, you must file a gift tax return anyway, Form 709. You would indicate on the return that you want to apply the lifetime exemption provided by the Unified Tax Credit. The $5,000 is then deducted from your lifetime exemption. You'll have $5,000 less of the Unified Tax Credit to protect your estate from estate taxation when you die. Of course, $5,000 would hardly be missed from the $11.4 million exemption that's available in 2019, so if you have nowhere near $11 million-plus in assets, this can be a good deal. But if you expect to have considerable wealth by the time you die, enough that the $11 million-plus Unified Tax Credit might not shelter your entire estate, using it to cover gifts in excess of the annual inclusion instead can cost your estate money that would otherwise go to your heirs. The top federal estate tax rate is also 40 percent. Some other exemptions and provisions exist for special gifts. For example, contributions to a 529 college savings plan can be spread out over five years—the entire amount doesn't count as a gift in the year you make it. You can give a prospective student $75,000 and claim the annual exclusion of $15,000 each year for five years so you won't have to pay a gift tax on that amount, and you don't have to deplete your lifetime exemption. But you can't give that student any other gifts during this five-year period without dipping into your lifetime exemption. You can also pay a student's qualifying tuition expenses tax free in any amount without incurring the gift tax, provided that you give the money directly to the educational institution. Uncle Sam actually does encourage generosity—he just doesn't want you to deplete your estate during your lifetime to avoid owing an estate tax when you die. You can give as much as you like to qualified charities that are approved by the IRS without incurring a gift tax. And you can pay someone else's medical bills up to any amount as long as you pay the care providers and institutions directly, Like the exemption for tuition, the money can't pass through the beneficiary's hands. Marriage effectively doubles your annual exclusion because you can "split' your gifts with your spouse. Remember that $20,000 you gifted your child that went $5,000 over the 2018 annual exclusion? Only $10,000 will count against your annual exclusion if you're married and you and your spouse each give your daughter $10,000. Instead going $5,000 over your exclusion, you and your spouse each have $5,000 of your respective annual exclusions left. You can also give to your spouse to your heart's content without incurring a gift tax, provided he's a U.S. citizen. The lifetime gift tax exemption lets the average American give away a lot of money and property tax free. If you expect that your estate will be more sizable, consult with a CPA or a tax attorney before deciding to dip into it. This can be especially important because the lifetime exemption might or might not remain at the $11 million-plus mark. The TCJA is set to expire at the end of 2025. The exemption will then plummet back to $5 million-plus in 2026 unless Congress acts to keep the TCJA's estate and gift tax provisions in place going forward.